The Daddy/Daughter dance is a wonderful opportunity for Dad to spend quality time with his daughter. 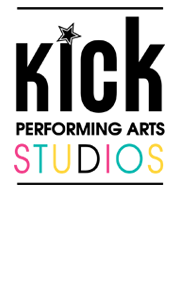 Together they will learn a dance that they will perform during Kick’s May 19th concert. Dancers must be three years of age by January 1st in order to participate in Daddy Daughter. To check out a video of a previous year’s dance, click here! For the performance, dancers will need a white dress and the dads will need a dark suit. Communion, flower girl, or Confirmation dresses are perfect. . Please read the following information very carefully before committing to the Daddy/Daughter Dance. The non-refundable fee to participate is $149 (includes all rehearsals) This fee is non-refundable, so moms, make sure the dad actually knows about the dance, rehearsal dates and times and is fully committed before signing up. The Daddy/Daughter dance is great fun but it also involves lifting your daughter over your head, challenging choreography and several hours of rehearsals. If you have back problems or other physical conditions that prohibit you from lifting your daughter , please contact us before you sign up for the Daddy/Daughter dance. Rehearsals are as follows. All participants must attend all rehearsals. One absence is acceptable. The rehearsal schedule is subject to change. We try our hardest not to change the rehearsal schedule, but this is “showbiz” and circumstances beyond our control frequently cause schedule changes. We will communicate with Daddy/Daughter participants via email only. If you do not have email or if you never check your email, please do not register for the Daddy/Daughter dance. You are required to check your email weekly when you are a Daddy/Daughter participant. Dance is difficult. It is a “team sport”. Everybody on stage depends on everyone else to put on a great show. 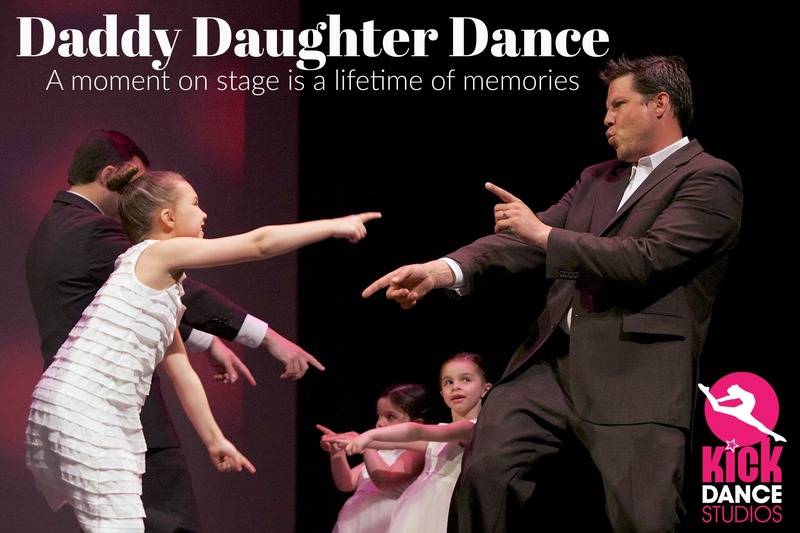 Remember, the Daddy/Daughter dance is an experience that will last a lifetime. Spending time at rehearsal and working through difficult situations with your daughter is as significant as performing the actual dance. All rehearsals are “Closed Rehearsals”, meaning friends and family may not watch the daddy daughter rehearsals. All four rehearsals are required to learn the dance. Unfortunately, we are unable to alter the rehearsal schedule to accommodate individual travel plans, illness, vacation etc. How do I sign up for the Daddy/Daughter Dance? Moms, Dads (stepfathers, grandfathers, and/or other significant men in the dancer’s lives) please enroll online through our online enrollment system. We are currently taking Daddy/Daughter registrations. Space is limited to 25 couples. The cost to participate is $149. Registration is through our online portal. Click the link below and choose Special Events to find the Daddy Daughter dance options. Please note we will be having 1 show this year Rumson and Fair Haven studios combined and the Daddy Daughter Dance will perform in the middle of the show to accommodate all families. Details coming early March!